These are the additions I’ve developed for the ABC Jar Project. 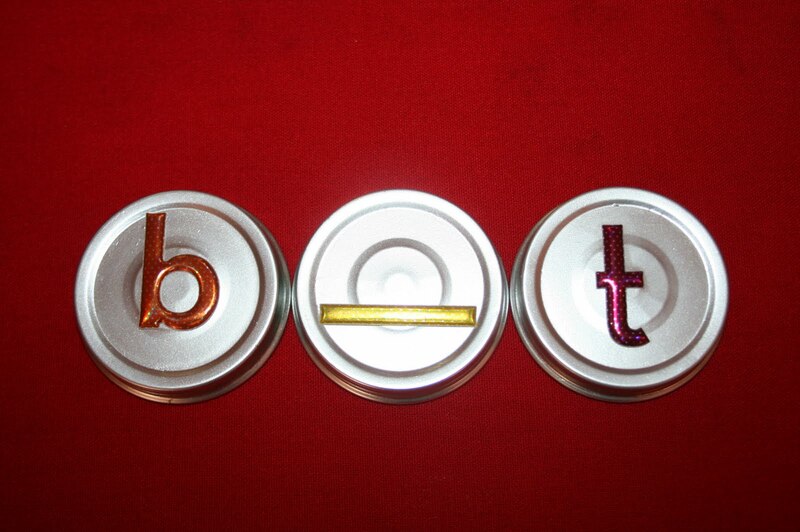 I made an extra set of vowels, “blanks” and a question mark. or you could leave off either the beginning or the ending consonant. 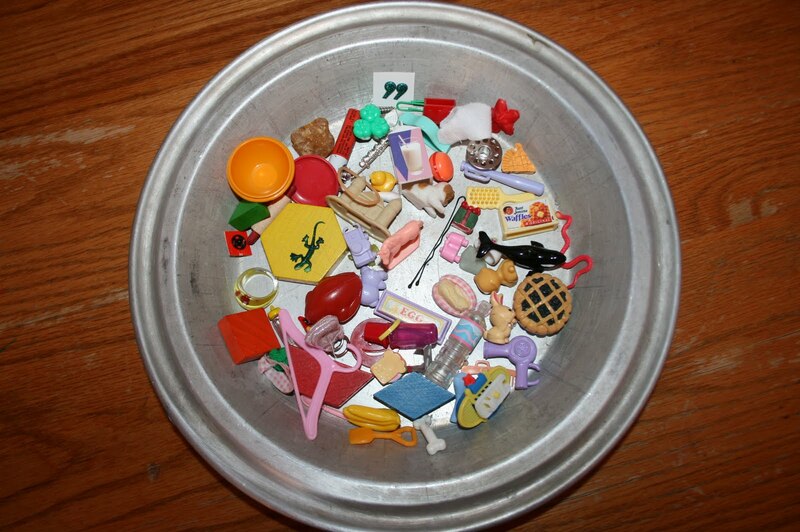 I began collecting mini things to begin sorting when school begins this week. I raided the Barbie accessories, the bathroom, my sewing cabinet and the junk drawer. 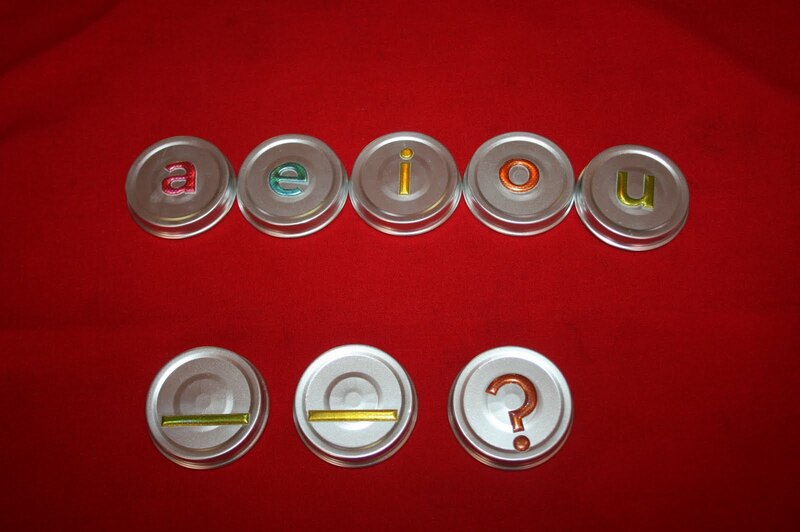 This entry was posted in first grade manipulatives, phonic manipulatives, teaching ABC's, use for baby food jars on September 7, 2009 by Mindy. I won't tell, lol! Honestly, what's the point of folding them anyway?Love the jar idea, so awesome. I love it!When my sons were little they loved the shopping "game." I wrote prices on my groceries (a 5 cents, 10 cents, etc.) and they would "buy" and then I'd add it up and they would pay me with fake money, using the proper change.Other times we switched and I bought and they had to add it up and tell me how much I owed, then give me the proper change back.My son got so good that he impressed people at McDonald's by telling them how much to give him back, lol!